Thought you might be interested in this photie. Seemingly there was a bit of escapist money to be made at 5/6 aside football for the working classes around 1890 1900. My scanner is not large enough to show the legends around the photograph. 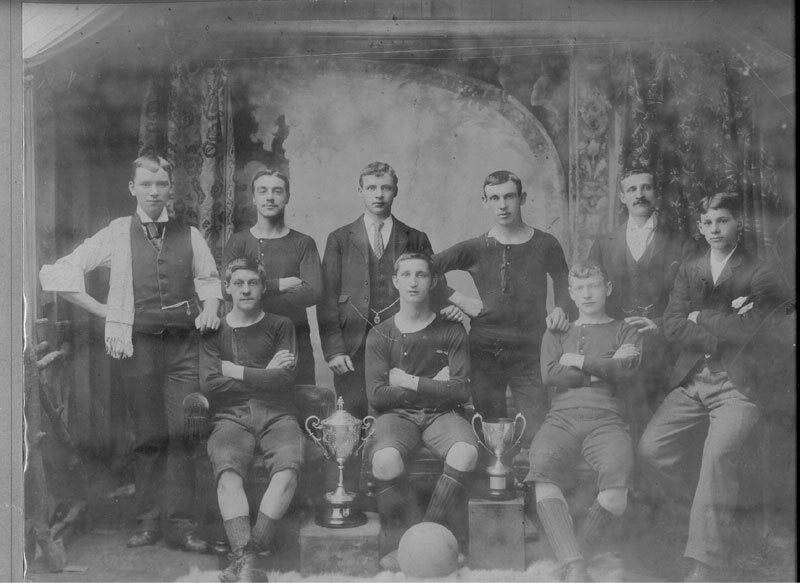 This is a photograph of the scottish champions of 5/6 aside football 1893/4/5, Dalry Primrose, with Bobby Walker front left. My grandfather is front right who according to family rumour was the better player, obviously. The cups on display are the Earl of Aberdeen Trophy and The Mitchell Challange Trophy. I believe they were all about 15/16 years old at this time. Away the internationally famous Hearts.